An elegant heirloom Christmas tradition! 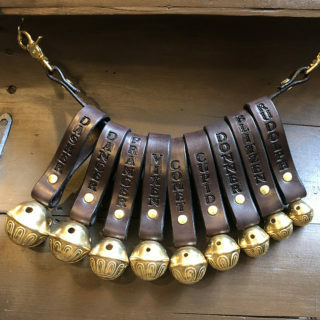 A fine set of heirloom quality Irish Leather Works Santa Reindeer Bells. This bell set is made to Santa’s strict specifications. Santa trains all of his reindeer to answer to the sound of their individual bell. Rudolph comes to Santa when he hears the high pitched bell with his name on it, and Dasher being the old guy who can’t hear high pitched sounds, answers to the low pitched bell with his name on it! These bells foster the Old Time Christmas Magic feeling of days gone by. 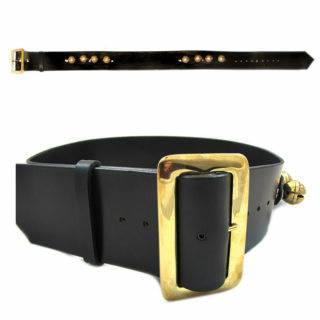 They are handcrafted in our shop with English Bridle leather and solid brass hardware. These are the real deal, and will be in your family for generations. Just think, generations from now, your family will remember you as they hang the family reindeer bells each Christmas. All handmade in our shop by a master craftsman. All nine bells are included for all nine reindeer. 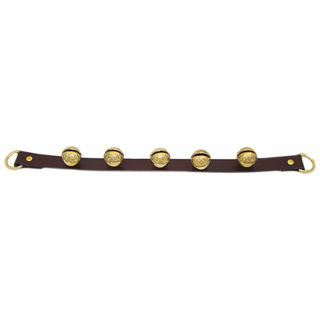 We DO NOT sell individual reindeer bells separately, only as a full set. 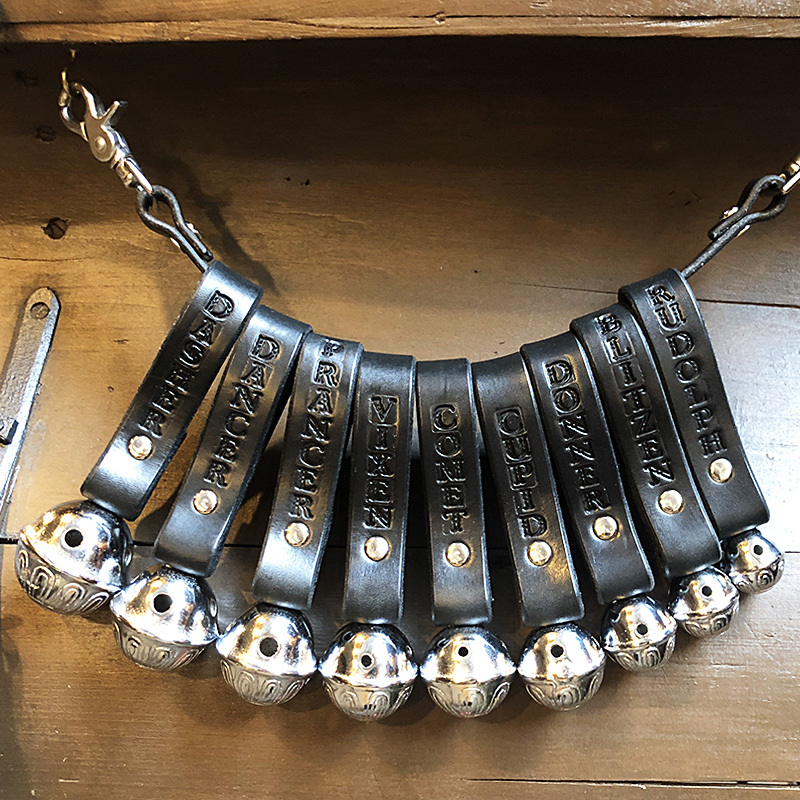 This is a high quality handcrafted product, but you won’t have to wait a typical timeframe for you bells…. Most items ship on the next business day.